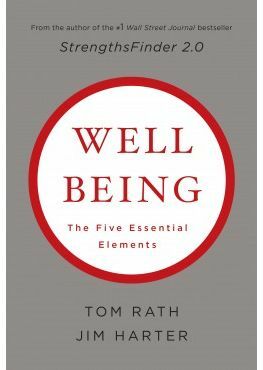 A while back I was given a copy of the book Wellbeing – The Five Essential Elements by Tom Rath and Jim Harter. 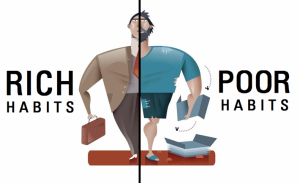 In this book Rath and Harter look at the five essential elements that shape our lives: Career Wellbeing, Financial Wellbeing, Physical Wellbeing, Social Wellbeing and Community Wellbeing. For today’s post I am going to go into more detail about Financial Wellbeing. Financial Wellbeing is about effectively managing your economic life. 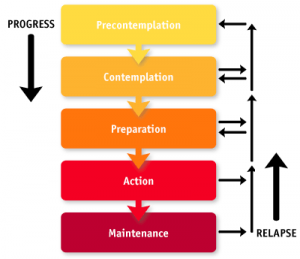 The authors note that it is difficult to be happy in any area of life if you cannot meet your basic needs (remember Maslow’s Hierarchy of Needs? ), but that the amount of money we have, beyond a certain point, has less of an impact on our overall wellbeing than the concepts of “financial security” and effectively managing our finances. 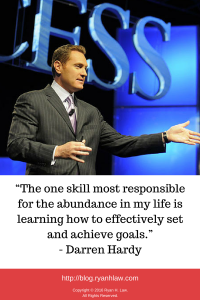 “People with high Financial Wellbeing manage their personal finances well and spend their money wisely. They buy experiences instead of just material possessions, and they give to others instead of always spending on themselves. 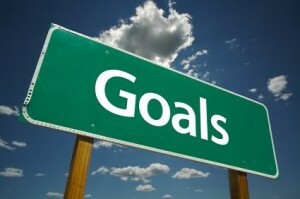 At a basic level, they are satisfied with their overall standard of living.” (Rath & Harter, 2010, p 154). Let’s discuss a few of those concepts. The authors cite three studies that show that spending money on yourself may temporarily make you feel good, but after time that good feeling fades. While spending money on yourself does not boost wellbeing, spending money on others does. When we help others out we feel good, even if it is just a little bit of money. For more detail on this subject, see “Why Giving Matters” (https://ryanhlaw.com/why-giving-matters/). While spending on material goods doesn’t increase wellbeing long-term, spending on experiences does. Think about some of the material items you purchased over the past year, and then think about some of the experiences you purchased in the last year. Experiences can include trips or something as simple as going out to a nice dinner or going to a movie. Do the material items or experiences give you the most happiness? Most people would agree that experiences give them the most happiness. Things that come to mind for me are date nights with my wife, going to a movie as a family, and taking a trip over Spring Break. With experiences we get to look forward to the event, enjoy the event and have fond memories of it. It is interesting to note that for those that earn less than $25,000 per year experiences and material purchases show similar gains in wellbeing, but after $25,000 experiences provide two to three times the levels of wellbeing when compared to material purchases. This concept brings us back to many of the things I have covered in this blog; budgeting, protecting yourself from identity theft, having a basic estate plan in place, saving for emergencies, investing for the future, etc. 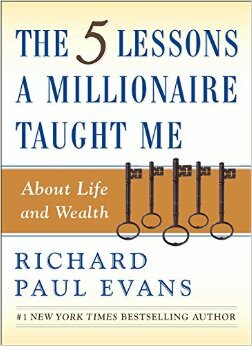 The authors also suggest you establish default systems, such as direct deposit, automatic deduction for investments and enrolling in your 401(k) at work so savings is automatic. 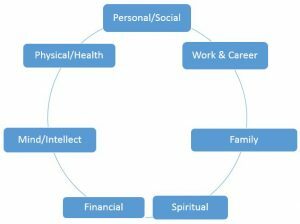 It is important to remember that all areas of Wellbeing (career, financial, physical, social, and community) work together. You can’t just focus on one area and ignore the others. If you live in an apartment and a candle tips over and starts a fire, who is responsible for the damage? What if a thief breaks in and steals your TV and other electronics? Is your landlord responsible to replace those items? In both scenarios YOU, as the renter, are responsible for the damage or loss. 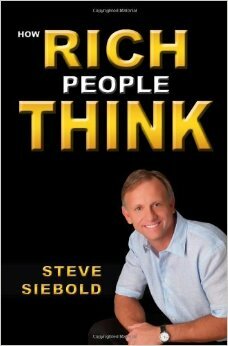 In the last two posts I have covered auto and homeowners insurance. These week I will conclude this series with a post about renters insurance. 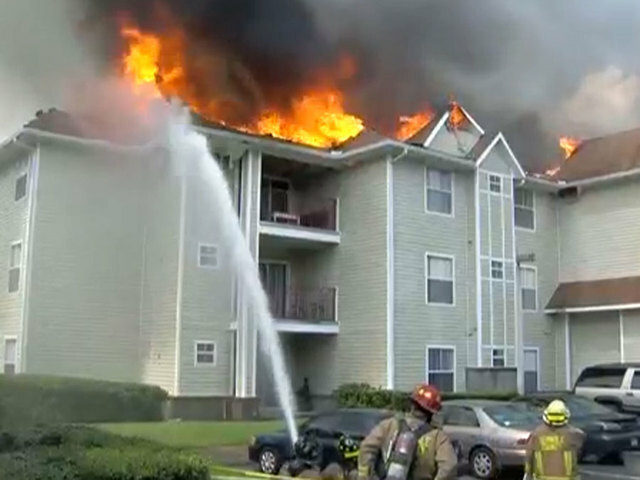 Renters insurance typically covers theft, vandalism and fire (or smoke) damage. Some policies also cover water damage. Pipers bursting, sewage backup, earthquakes, floods and other “Acts of God” are typically not covered. You may not think you have much of value, but the average renter has about $30,000 worth of “stuff”, from furniture to clothes to electronics. Renters insurance will replace items stolen or damaged by a covered event. You can get Replacement Cost coverage or Actual Cash Value coverage. Actual cash value takes into account depreciation. For example, let’s say you own a $5,000 TV that typically lasts for 10 years. If that TV is stolen after 5 years you will get $2,500 for it from the insurance company. With Replacement Cost coverage you will typically get a check for the actual cash value (in our example above you would get $2,500), then when you submit a receipt you will get a check for the remainder, up to a set dollar amount. You should always get Replacement Cost coverage if it is available. Most policies cover your items while you are travelling and some will cover items in your vehicle as well. Before the insurance company will pay anything you have to pay your deducible. The higher your deductible, the lower the premiums will be. Be sure you have a deductible you can afford, though. To prove what you own you should have pictures or a video of your contents. You may also want to have a list of what you own and how much you paid for it. Contents coverage will typically only cover a limited dollar amount, so if you have an expensive or valuable item make sure your insurance agent knows about it and you can get additional coverage for it. If you have water, fire or smoke damage your apartment will typically be uninhabitable for some period of time while it is being repaired. Loss of use will cover your rent in a similar apartment or hotel for a limited period of time. Liability coverage will typically cover legal costs, bodily injury and property damage caused by your actions or negligence. It will also often pay a set amount for medical payments for your guests who are injured. You will pay a monthly or annual premium for your coverage. Average policies cost between $15 – $30 per month. For those that live in Utah, get in touch and I would be happy to get you a quote for renters, auto or homeowners insurance. One of the easiest ways to save some money is to do an occasional review of auto and homeowners insurance. Last week I wrote about auto insurance (https://ryanhlaw.com/an-overview-of-auto-insurance/) and today I will discuss homeowners insurance in more detail. 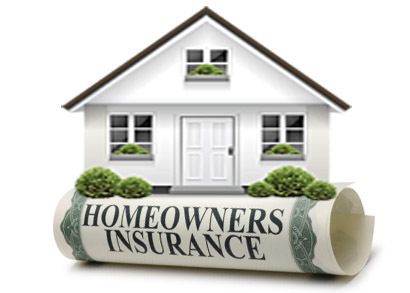 The majority of homeowners insurance policies will pay for most losses unless the loss is caused by something excluded. Things that usually aren’t covered by any insurance includes routine maintenance, damage from flooding or landslides, damage from earthquakes, sewer backup and acts of terrorism. This covers damage to your home and any attached structures (an attached garage, for example). For example, if your roof is damaged in a hail storm and you need a new roof Part A would pay for a new roof. If your stove catches on fire and your kitchen is destroyed, Part A will pay to repair the damage. This covers any structures that aren’t attached to your main home – a detached garage, a storage shed, etc. Coverage is usually 10% of Part A. If, for example, you have $200,000 worth of insurance in Part A you would have $20,000 worth of insurance on Part B. This includes all the property in your home – your TV, computer, clothing, etc. It is important that you have a record of what you have in your home so you could prove what you owned if it was stolen or destroyed. Coverage is limited for many items, so you may need a rider if you have a collection or expensive pieces of jewelry, furs, stamps, firearms, antiques, tools, memorabilia or other similar items. You will have a deductible for the property protection portions of your insurance – standard is $1,000, but if you have the cash you can raise your deductible which will lower your premium. You want to look carefully to see if you have replacement cost or actual cash value. Replacement cost will pay for a replacement (i.e. if you have a 25-inch flatscreen TV that is stolen you will get a new 25-inch flatscreen TV). With actual cash value depreciation is taken into account. If your 25-inch flatscreeen is 5 years old and the insurance company figures that TVs last for 10 years you will only get about half the cost of a new TV. If you can’t live in your home while repairs are being made or while it is rebuilt this portion will help pay for similar living expenses. The other part of homeowners insurance is liability coverage – which provides coverage for personal injuries or property damage that you or others living in your home may be responsible for. This portion covers the cost of your defense regardless of whether or not you are found liable. If you are found liable your insurer will cover damages up to the total of your liability coverage.This can be on or off your property and it does not cover intentional acts. Included as part of liability insurance is medical payments to others that will help pay the doctor’s bills for people injured by you, a family member or your pets. As a reminder, for those that live in Utah, I am happy to review your homeowner’s insurance coverage and run a quote against a number of the nation’s highest rated companies to see if I can save you some money. Auto insurance is one item that we buy hoping that we will never have to use it. While I don’t know anyone who enjoys paying for it each month, we understand it is important (and it is required by law if you own a vehicle!) so we go ahead and keep paying for it. However, just because you have to pay for it doesn’t mean you should be overpaying for it. When was the last time you reviewed your coverage? While this may not be the most fun you will have in an afternoon, if you haven’t reviewed your insurance documents recently, you may be missing out on some cash that you can apply to some of your other financial goals. Today I am going to briefly review auto insurance and give you a few tips for how you may be able to save some money on it. If you cause an accident, this coverage covers people outside of your vehicle who sustain injuries. Whatever the amount is in this section (i.e. $30,000) is the maximum your insurance will pay for each person who is injured. This is the same as the bodily injury per person, but it is the maximum your insurance will pay per occurrence. For example, if you have $30,000 in coverage per person, and $60,000 per occurrence and two people are injured by you and have bills of $35,000 each, your insurance will only pay $30,000 for each one because they reach both the limit per person and maximum per occurrence. Imagine that there were four people injured and each had $30,000 worth of medical bills. How much does each person get then? $15,000 (maximum of $60,000 per accident – $60,000 divided by four people gives you $15,000). If you cause an accident this covers property that is damaged – whether it is a mailbox or other vehicles. For bodily injury and property damage state minimums are usually fairly low. For example, in Missouri it is $25,000 per person, $50,000 per occurrence and $10,000 in property damage. In Utah it is $25,000 per person, $60,000 per occurrence and $15,00 in property damage. 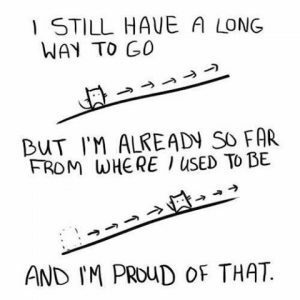 Hopefully you can see how quickly you can surpass these limits. You can cause more than $10,000-$15,000 in damage in even a fairly minor accident. I strongly suggest you purchase the highest Liability (Bodily Injury and Property Damage) that you can afford. Increasing these will give you peace of mind that if you cause an accident you won’t personally be liable for medical bills and property damage up to a high limit. I actually don’t sell any policies that are less than $100,000 per person, $300,000 per occurrence and $100,000 in property damage (or 100/300/100). If someone who is uninsured or under-insured hits you and you are hurt, this clause of your insurance will help pay your medical bills. Some states require you to have some uninsured motorist coverage. This coverage pays out when your vehicle has been damaged in some way (except in a collision). For example, if your vehicle sustains storm damage or a vandal keys your car this coverage will help pay to fix the damage. If you hit something (car, tree, pole, etc.) this coverage will help pay to fix the damage. Both comprehensive and collision have a deductible that you will have to pay before the insurance company kicks in any money. My first tip to help save you money is to review your deductible for comprehensive and collision. If you can afford to increase your deductible I would encourage you to consider it. You would be responsible for meeting the full deductible before any damage is paid out, so you would need cash set aside in your emergency fund to help pay this, but increasing your deductible will save you money on your monthly bill. If you drive a very old, essentially worthless car that is paid for consider whether it is worth keeping comprehensive and collision. If your car was totaled and the insurance company would only pay you $200 because that is all it’s worth then you are probably better off dropping this coverage. Keep in mind that if your car is damaged (other than in an accident that someone else causes) you would then be liable, in full, for any damages to your vehicle. Finally – shop around for quotes occasionally. Have you been with the same insurance company for ten years because you saw an ad that said they can save you 10% on your car insurance? It never hurts to check around to see if you can get the same or better coverage for less money. You can usually get a few quotes online fairly easily. You can also check with an independent insurance agent who can shop a number of different companies and find you the best deal. For those in Utah, I sell auto and home insurance and actually take care of the shopping part for you. My company rate-shops 10-15 companies to find you the best deal. Contact me if you would like more details.